So this is a little snippet about my bedroom (read: Kingdom), I moved to the new room in the beginning of this year, and all of my housemates also had a room swap. I designed my own room, well as usual first thing in my mind is only one color. Yup, I like Red colour, whenever I choose a furniture or some accessories for my room, I always choose red. Actually designing a room is one of my interest, I also designed my girlfriend’s room. 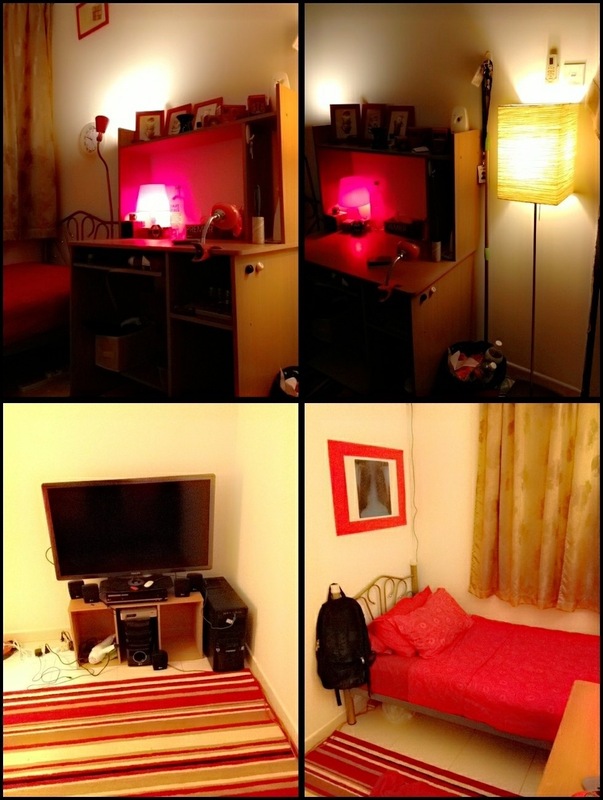 Ok, let’s talk about how I designed my room… First, I got my red bed sheet, red quilt cover and red pillow cover from IKEA. And then I got my red study lamp also from IKEA(the name is Kvaart). And then I cover my floor with the rug I bought in Jalan Mesjid India, and then as the main lighting source, I have another IKEA lamp. And above my bed, I have my X-ray photograph of my lungs. I put it in red cardboard so it looks nicer. Well, this kinda creepy but I always say, this picture is the most expensive picture that I’ve ever print isn’t it? On my study desk which I bought in carefour, there’s another sweet red lamp also from IKEA, and then I have aromatherapy burner from carefour, and I got a red ashtray from ROOM Pavillion, but since I don’t smoke, I use it as a coin savers. On top of my desk’s rack there’s two miniature of bus from famous amos, I keep it because one reason: RED. And there’s also some red picture frames from IKEA. 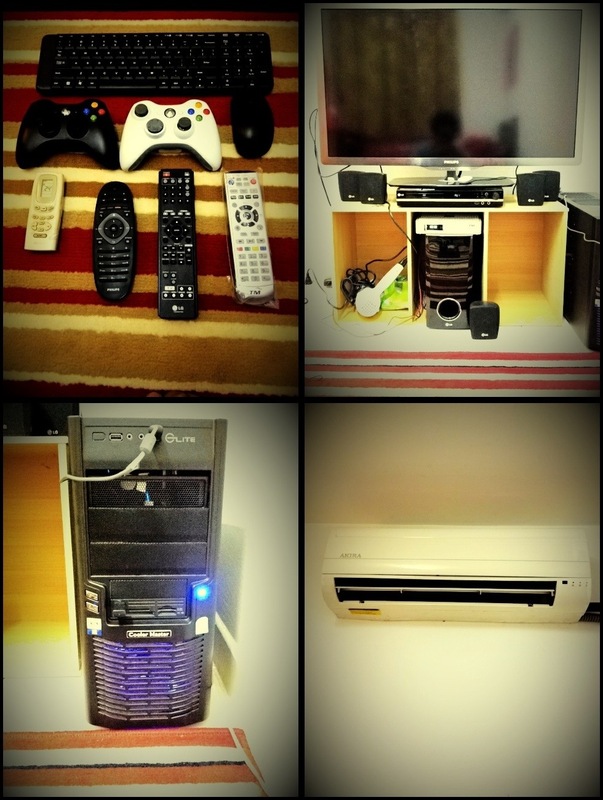 I got a personal computer that I bought from my friend who has moved to England, and as a monitor, I’m using my lucky draw prize Phillips 40″ LED TV, and it’ll be not complete without my home theatre LG speaker that I bought secondhand from someone in my condominium. And the most important thing is, my xbox controller, without this controller, this entertainment stuff will be bitter altough I just using it to play my favourite game, FIFA. Oh ya, I almost forgot that I also have IPTV decoder from my internet provider, TM Unifi. But the service is far from my expectation, since it’s just broadcasting a local TV, and some boring channel.